Wow! We definitely celebrated America’s birthday in a big way. With 5 BBQs (4 of them birthday parties), a 4th of July birthday breakfast, a homemade kid parade, a trip to RI, a trip to an Island on the lake, making decorations for our house, 2 outings for fireworks, a patriotic craft at the library, a playdate with friends, Z’s first golf outing, two trips to visit my mom and many late nights…..we are EXHAUSTED. I am excited that Ocean Week is a two week theme because it will give us some time to rest and really enjoy it. 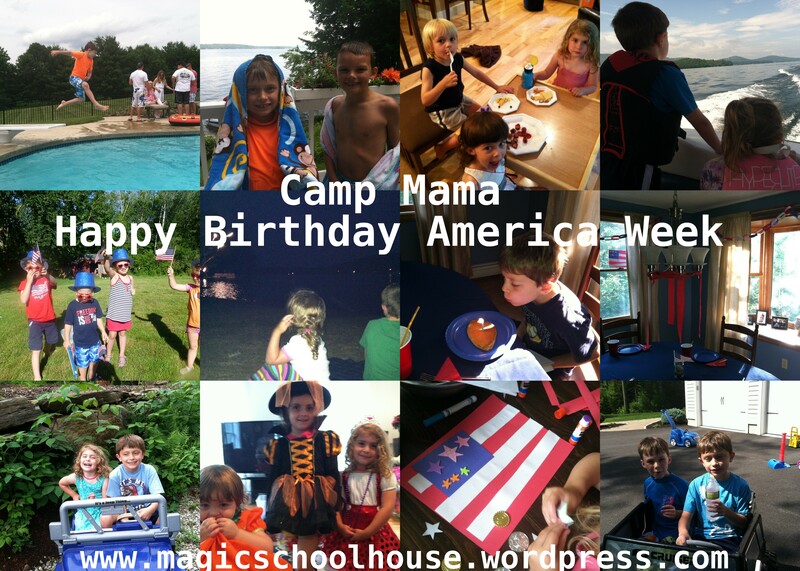 We hope you had fun last week celebrating America’s Birthday. The next two weeks are all about the Ocean (although we went tide pooling during Sports week and we are going to a baseball game today) and so check back later this week to see what we will be up to!